First Light Travel's Best Price Guarantee! We know that value is important to our guests, so If you find a lower price published on another legitimate site we will refund the difference - better still we will beat it! We are confident our pricing gives outstanding value. Since 2001, travellers have trusted First Light Travel to deliver tours and itineraries that exceeded their expectations. Many of the tours you find on our website, and all of our self drive and independent coach tours are unique to us. With nearly twenty years of experience and feedback, we can confidently say that we only work with the best suppliers. All of our tours are regularly validated, these are tried and tested itineraries to ensure your journey runs smoothly. We regularly update our tours to include new accommodation and the best excursions. We are confident our pricing gives outstanding value, so If you find a lower price published on another legitimate site we will refund the difference - better still we will beat it! * First Light Travel is known for providing the highest quality of service combined with the lowest price. If you think that you have found the same tour cheaper elsewhere, let us know. Please make sure that the tour you are comparing is identical in all respects. If there is any variation then we cannot match the price. You can therefore enjoy your experience with the guarantee of getting the best price! 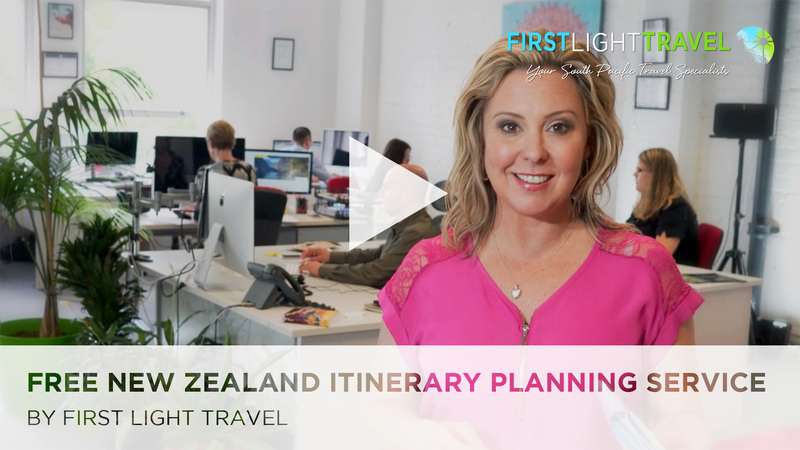 At First Light Travel we are all New Zealanders and we love our country - we want you to come over and see it for your self - so our exclusive specials and earlybird booking specials ensure your booking provides you with the best value, anywhere in the world! Our specials are always being updated and are LIVE on our website so you can see what the true cost is immediately! Check our live reviews & contact any of our guests - Real people with real profiles! What more could anyone want? Contact us to secure the best price on your tour.